Taking time to declutter our homes can free space in our closets, make our homes safer and give us a feeling of satisfaction. Plus, having fewer material objects gives you more time to focus on relationships and hobbies — things that bring sustainable joy to our lives. Setting a five-minute timer is a great way to start decluttering without biting off more than you can chew. A lot can be accomplished in five minutes, and doing this daily can significantly reduce the excess stuff in your home. Zen habits even published a list of 18 five-minute decluttering tips to start conquering your mess one day at a time. Grouping similar items together creates a better understanding of what you have. If you put all your purses together and find you have 10, it’s easier to see what you should keep and what you should purge. It’s also a great first step toward rearranging your closets for logical organization. Oprah Winfrey swears by this systematic approach to identifying what clothing to donate. Start by facing all hangers in the closet to the left. After wearing and washing an item, put it back on the clothing rack facing to the right. After a few months, you’ll know what clothing isn’t worn and you can feel confident donating it. The experiment can also be adapted to toys, linens, cleaning products and dishes. Originally created by the blogger Joshua Becker of Becoming Minimalist, the 12-12-12 challenge is simple and effective. All you need to do is find 12 items to donate, 12 items to purge and 12 items that need to be put away. 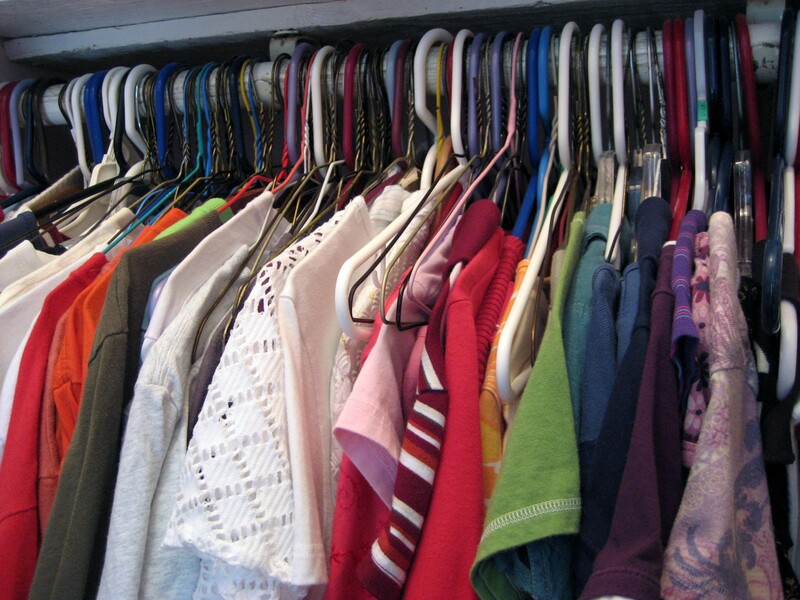 Doing this every day for a week can do wonders for your closets! While buying more should be the last step of your decluttering process, investing in storage and organizational equipment is a great way to keep yourself organized for the long haul. If you’re looking for must have organizational equipment, check out these 23 organization products people on amazon swear by. Most importantly, sustainable decluttering starts by making a commitment to keeping only what you need. Evaluating the usefulness of objects every day is the best way to reduce clutter permanently. What are your tips for decluttering your home? Let us know over on Facebook! If you’re interested in learning how you can grow older in the comfort of your own home, we’d love to help. Give us a call at 614-734-2167.